The chief features editor of the Northern Echo, Chris Lloyd, turned from writer to orator when he was guest speaker at the Darlington Professionals autumn lunch in the town in November. 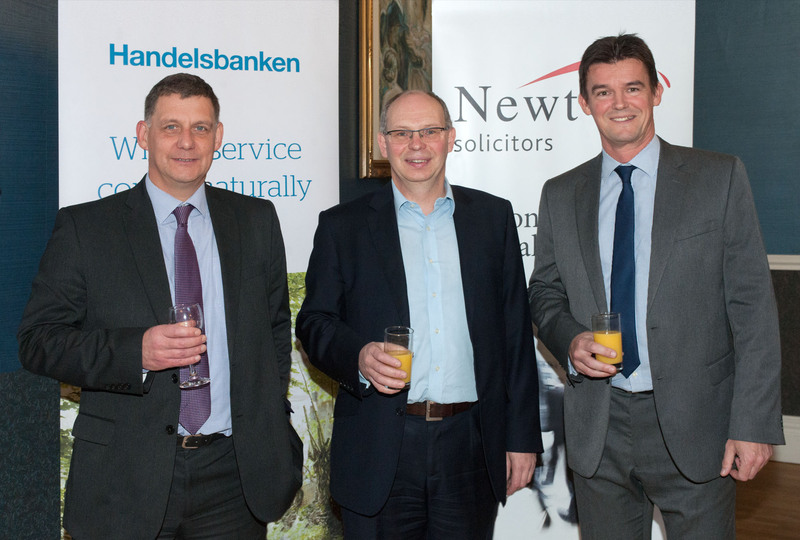 The event was organised jointly by director and head of Newtons Solicitors Darlington office, Gareth Jones, and corporate manager of Handelsbanken’s Darlington branch, David Walker, who founded Darlington Professionals with an inaugural event in Spring 2015. More than 120 representatives from over 40 businesses from in and around Darlington attended the business lunch at the Mercure Darlington Kings Hotel on November 16. Chris Lloyd gave an enthusiastic talk filled with fascinating news items from Darlington’s past along with humorous and insightful anecdotes from his time as a journalist in the North East. A collection raised over £900.00 for St Teresa’s Hospice, Darlington, a registered charity which provides free services for people in south Durham and North Yorkshire including specialist palliative care beds, hospice at home respite services, day therapy, carers support and counselling, social work and bereavement support. Darlington Professionals has now raised more than £4,500.00 for local causes.